3. Glitter or no glitter? 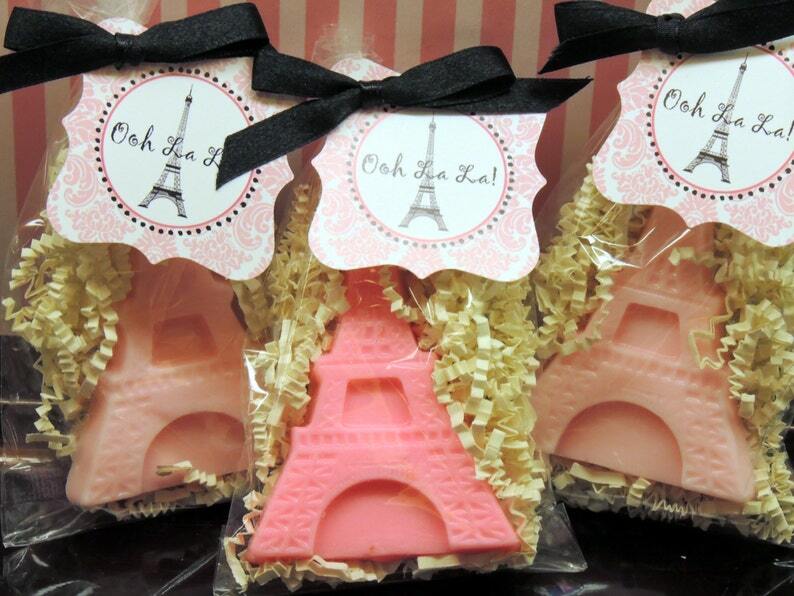 This listing is for 20 Eiffel Tower Soap Party Favors with your custom colors and scents. Perfect for a Paris themed bachellorette party, bridal shower, baby shower, birthday party, and more! Each favor includes one large Eiffel Tower Soap which measures 4 1/2" tall and 2 3/4" wide at the base apx 1/2" thick and weighs 1 oz. 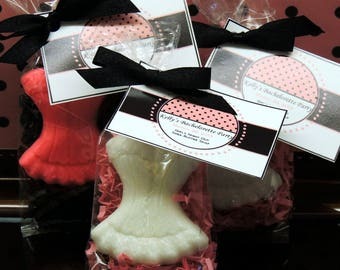 ******ADD TAGS & RIBBONS - With this option each soap will be packaged in a cello bag with coordinating ribbon and tag. No paper shred is included with this packaging option. Your choice of "Merci" or "Ooh La La" tag. ******THE WORKS - This is our most popular option for parties. Each soap is nestled in paper shred in a cello bag, tied with coordinating ribbon and your choice of "Merci" or "Ooh La La" tag which may be personalized with a message. Your perfect favors arrive ready to pass out at your event. 5) RIBBON COLOR, if applicable. These were the most perfect party favors for my bridal shower. I received great feedback from guests about these favors. So perfect!! Thank you!